This has been a busy week and I want to thank you all for your prayers… I have surely felt God’s presence and His grace as I’ve moved through a few situations! I’m so thankful I serve a big God who walks with me, guides me, and shows His grace every day. Spray paint the bench black. Fresh mat for the front door. Add two black rockers in front of the window. Wall decor above the console table. 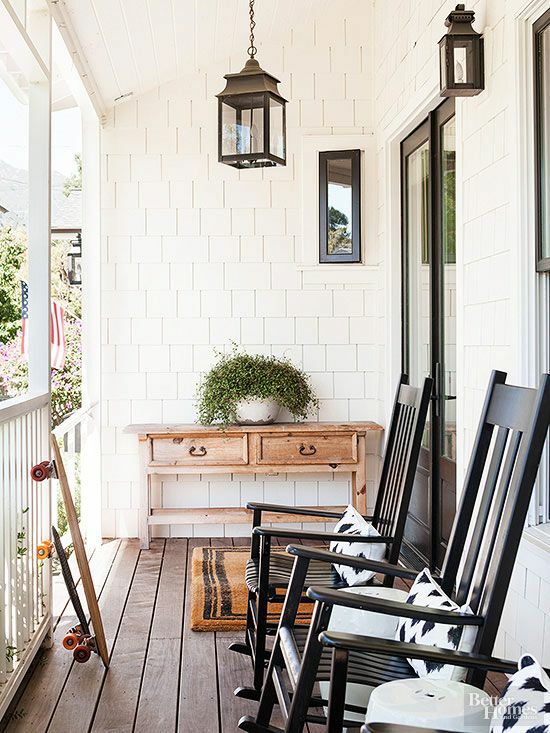 Move the bench to the far end of the porch, perpendicular to the rockers. Plants in terra cotta pots. Ok, so I’ve got some WORK to do, no? My goal is to have this done before my son’s high school graduation at the end of May, so I’ve got some time. I’ll be weighing in with progress over the next couple of weeks and may be simultaneously working on my back deck. #yikes. So don’t be surprised if that “plan” surfaces here shortly, too. 🙂 I’ll be shopping sales and thrift stores and looking to get my DIY on to keep this as inexpensive as possible. 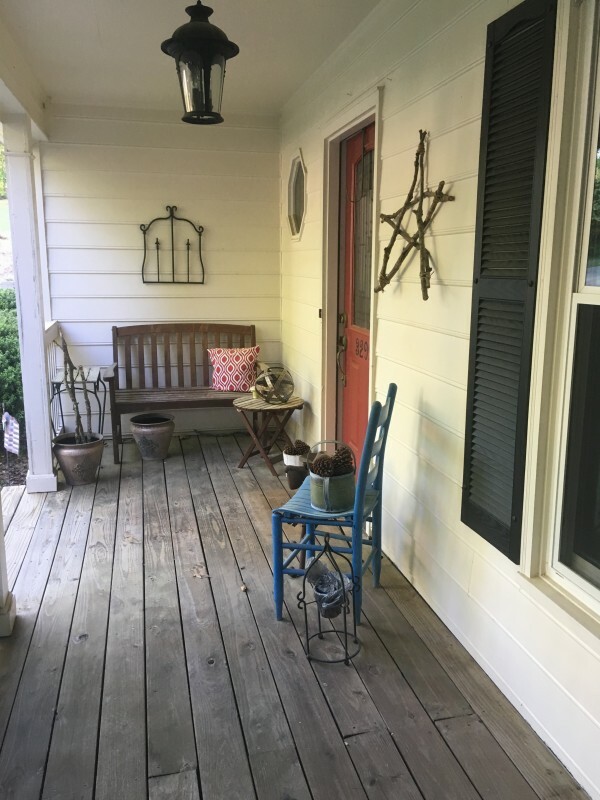 I realized this project isn’t even on my Home Goals list for this year, but so it goes around here… gotta strike while the inspiration and motivation is hot! Enjoy your day everyone… what project are you planning this spring? ?